Hearing the band Chairs Missing for the first time conjures up visions of driving on an open road in the desert. There are sweeping bass lines and twangy guitar solos. There are echoing vocals and deep drum beats. Simply put, San Diego-based Chairs Missing has heart. They have seemingly captured the folk-rock essence without making it cheesy or over-done. Their songs are polished and layered, making them an instant favorite. They’re your standard quartet, Dave Meade on drums, Riain Haggar on lead guitar, Brandon Cardwell on bass, and Paul Remund on vocals. 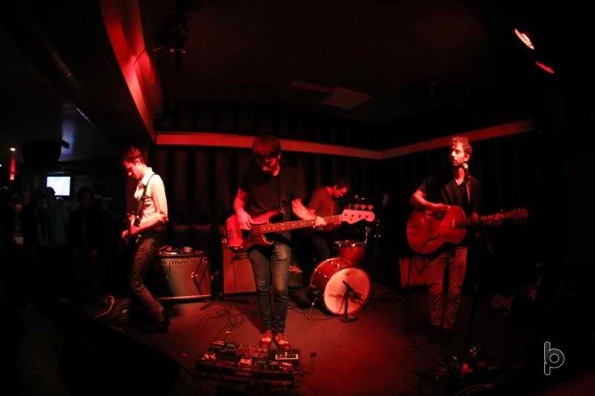 Formed in early 2010, the band has a five-song EP called When, Now. Be sure to check out the second track, “So You Know.” The driving drum, haunting guitar, and violin accents make it easily the best song on there. Be sure to catch Chairs Missing playing in venues around San Diego in November. Do it!